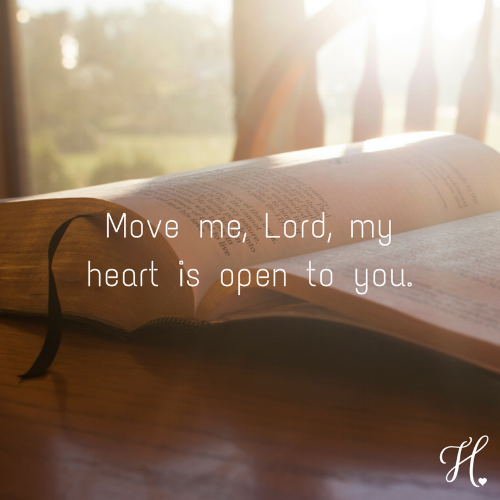 Move me, Lord, my heart is open to you. We are cautioned to search our hearts for intentions of our deeds and to also understand our limits, especially when work is taking us away from our relationships with God, family, friends, and the Church Exodus 20:8. Verse 13 is noteworthy as the teacher writes that a wise person with no power is better off than a foolish king who cannot receive instruction. As we get older and have gained the experiences we discussed in Chapter 1, it can be easy to mark our- selves “expert” next to certain happenings. We must always be open to the wise counsel of our godly mentors, employers, and most importantly, the Holy Spirit it- self. Act: Make an extra effort to peacefully coexist with someone you would not neces- sarily want to.